USPCA Region 12 represents the states of Minnesota, Wisconsin, North Dakota, South Dakota and Manitoba Canada. Please follow the link to the Membership Application. 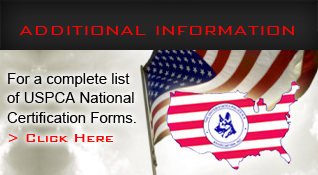 Full membership to this Association shall be open to any active full time paid law enforcement officer, Federal, State, County, or Municipal, who is a canine handler, trainer or administrator, pending approval of elected officers. 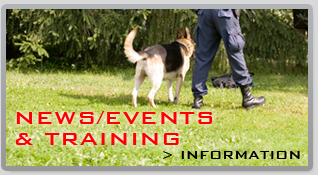 This shall include members of the Military Police who may be canine handlers, trainer, or administrators. A. Full member to this Association who retires while being in good standing, or no longer is a canine handler, trainer or administrator shall retain the benefits of the Association. President shall be a current canine handler. 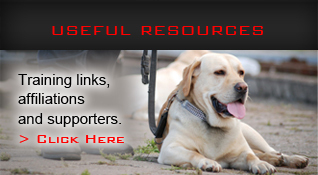 Any full member may continue as such in the event that they enter military service and later returns to canine law enforcement on a full time basis. A retired (not a member at retirement) full time paid law enforcement officer, either Federal, State, County, or Municipal, who was a canine handler, trainer or administrator. Associate membership must have the approval of the Board of Directors. Associate membership shall have voting privileges but cannot hold a Board office. 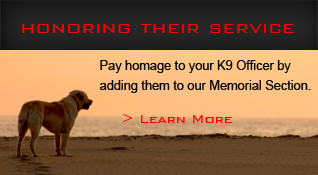 An Honorary membership may be bestowed on a person for distinguish or meritorious acts in the field of canine service. There shall be a special membership to the Association. These members shall be any person so designated by an Executive Board member. They will hold no office or have any other privileges that pertain to a full membership in the Association. A Special member shall be liable for dues or assessments. They may attend regular meeting and may be heard at the discretion of the President. They may not vote or have any other privileges that-pertain to a full membership in the Association. Any member may be dropped from the Association for non-ayment of dues, upon final conviction of any criminal charge, for any acts that might bring discredit to the Association or using the Association or its name for personal gain or profit. Upon notification in writing of any of these circumstances by at least two (2) members in good standing, to the Executive Board of the Association, the member shall be notified in writing of the circumstances charges. An investigation will be instituted by the Association and a 2/3 vote of the Association at a scheduled meeting shall cause a member to be dropped from the membership rolls. All applications for membership shall be in writing upon forms furnished for that purpose, and signed by the applicant, and accompanied by the prescribed fee. If the Executive Board so decides, applications may be referred to a committee for investigation. 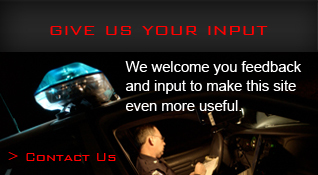 Please follow the link to the By-Laws of The USPCA Region 12.